Observation - Ducks on canal - UK and Ireland. 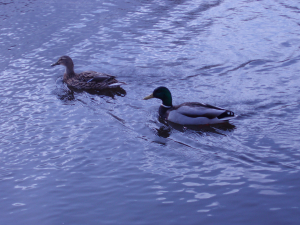 Description: Male and female mallards on canal, frozen for weeks but maybe spring at last. Male and female mallards on canal, frozen for weeks but maybe spring at last.